I’m getting ready to buy a netbook. The question is: What do I want? The answer: A seven or nine inch iPhone-type Apple netbook. I asked some friends what they thought about which netbook I should buy from the currently limited market. One friend said ‘get an Asus, cheap and does what you need it to’ another said ‘you can’t go wrong with Sony, stylish and reliable’. Those are fair comments (although the Sony P-Series is a bit dear) but there’s also the potential that Apple will release a netbook. Now, if you’ve read my previous posts then you’ll know that I don’t really like Apple. I find Macs aren’t logical like PCs and iPods are too fragile. They sound like rubbish reasons but like the advert states ‘I’m a PC’. So why am I tempted to buy an apple netbook? Buying an Asus or something similar would be cheap but not great for work and going upmarket buying a Sony is great but very expensive, especially as I already have two laptops and a desktop. If Apple releases a netbook for around £400-£500, which is looking likely, with the functionality of a normal netbook that includes the added features an iPhone has, open source apps, touch-screen etc. then how can I or anyone not feel tempted? 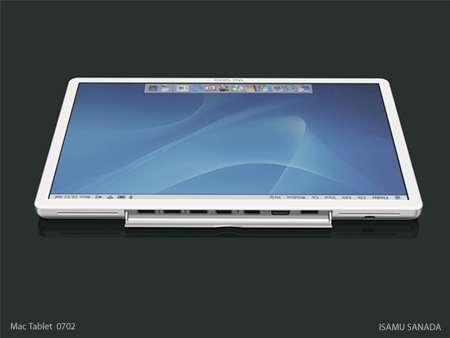 Netbooks are going to be the must-have gadget for 2009, if Apple can release a 7″ and/or 9″ netbook, a Macbook and iPhone hybrid, then they will be able to increase market-share and once again be the pinnacle of innovation. I’m a PC. But I do occasionally enjoy a Big Mac.